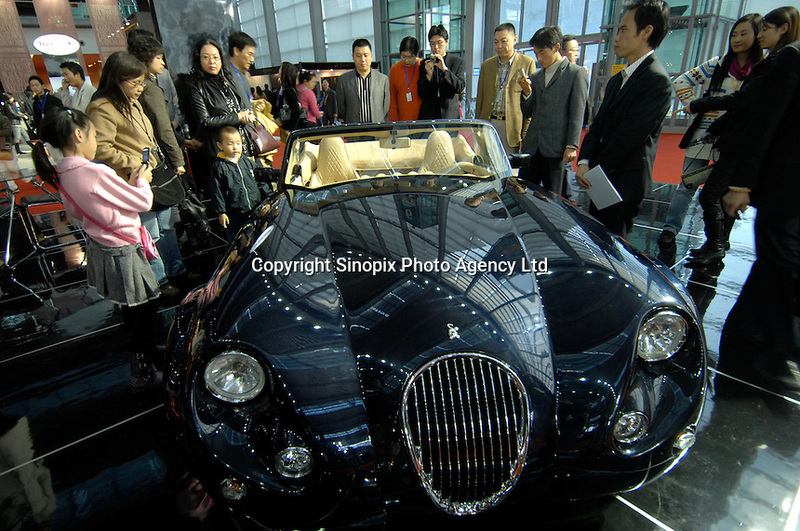 Guests look at the German made Wiesmann MF3 roadster sports car at the "Top Show" luxury goods fair in Shenzhen, China. The car is a limited edition and retails for 3 million rnb (approx - 200,000 sterling). The German specialty-car has a show-room in Beijing and Shanghai.